Thugs of Hindostan has registered colossal drop on 3rd Friday from previous day. This is despite collections being already in lower level. The way film is trending it may not collect anything by the release time of 2.0. In fact film may be out of theaters by then. Who would have thought of this prior to the release. 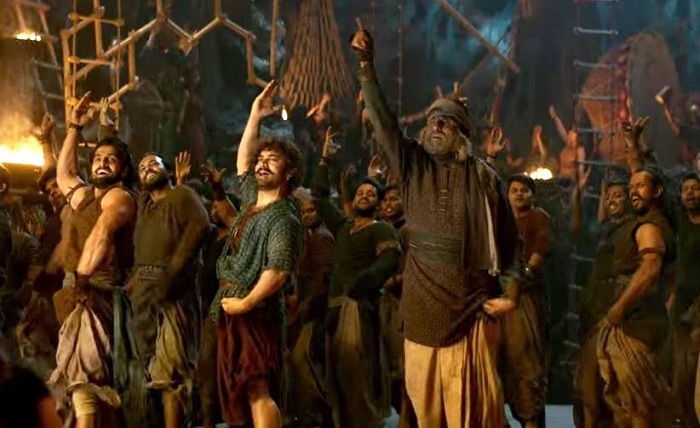 A film starring Aamir Khan and Amitabh Bachchan from YRF banner is out of theaters by the start of week four. TOH has collected a meager 25 lakh nett on 3rd Friday. Thus, film total collection at the end of day 16 is approx 149.65 crore nett. Film will collect around 1.25-1.5 crore nett in the 3rd week. This will take film past 150 crore nett when all languages are considered. TOH lifetime business will wrap up in around 151 crore nett mark with a distributor share of just 75-76 crores. Total (all Languages) -> 149.65 crore nett (approx). Total (Hindi only) -> 143.95 crore nett approx. What has happened to TOH?!!!! Before release, TOH was going to end the theatrical runs of both Andhadhun and Badhaai Ho. It got beaten by badhai Ho, and now it's getting beaten by Andhadhun too. Strange times indeed. Ha Salman ke paas pull hain aur Aamir ke paas first day record hain jo aise hi aagaya. Kaha se lata hain bhai aise logic. arijit stop trolling sulman otherwsie srk sey bi bura haal ho gaya. yeah tingu sirf sulman fans ki waja sey bacha hua tha. but due to trolling bu tingu fans, this time sulman fan not even bother to watch. Sulman key pass weekend record hai. Biggest flop of the decade. Disaster.